Hello again! 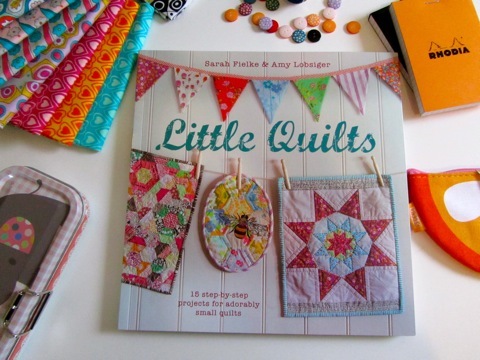 If you’re following along, you’ll know I have a Little Quilts book winner to announce and a new blog tour stop to mention. It all comes down to Pam and Pam. 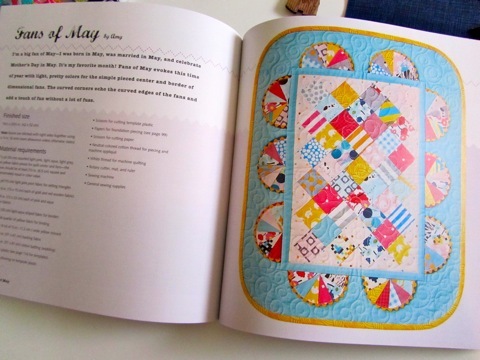 Pam from Quilting Is My Yoga is the winner of a copy of Little Quilts from my stop on the blog tour! Congratulations, Pam, look for an email in your inbox from me. And this week’s stop on the blog tour is Pamkittymorning! Pam is my pretend neighbor. I take over pie and she always has the coffee on. We sit on the swing in her yard and read magazines and sew. She is an excellent neighbor. When she comes over, she always forgives the mess. Which is a lot of forgiving to do. Anyway, stop over at Pam’s. 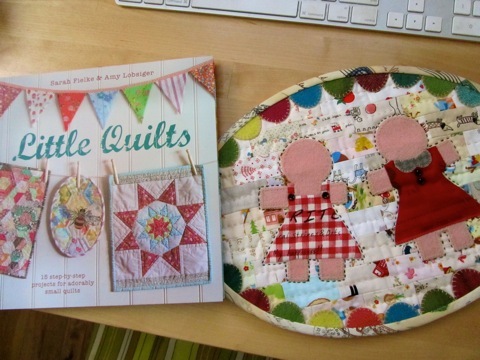 Tell her I said “hey.” You’ve got another chance to win a copy of Little Quilts too!! 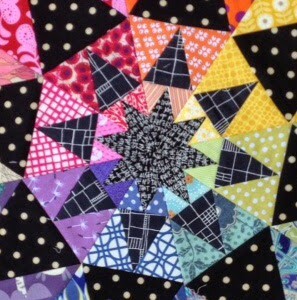 By the way, did you see this about a Little Quilts swap??? Take a gander and say hi to Sarah, the hostess with the mostest! 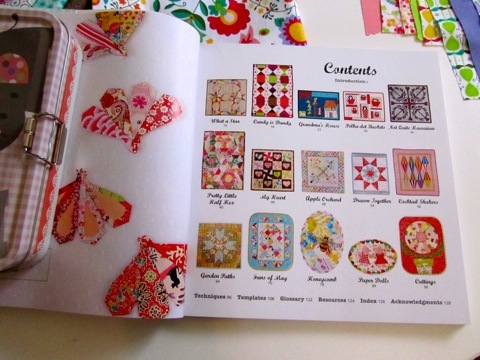 September 1, 2014 at 3:14 am	· Filed under Books, Dollies Online, Fabric, Little Quilts Blog Tour, Quilts, Tools, Treats! 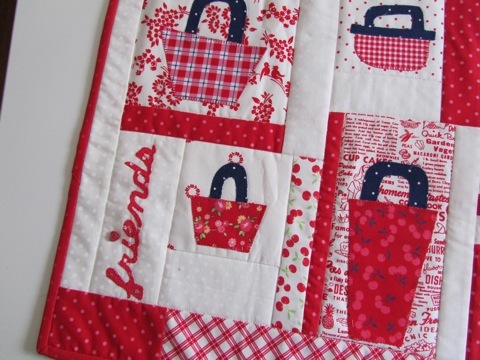 It’s time for a little party for little quilts and Little Quilts! We are gleeful over the wonderful reception for our little (am I overusing that??) book so far, and we want the celebration to continue! Sarah and I have devised a blog tour and swap with some of our favorite people. 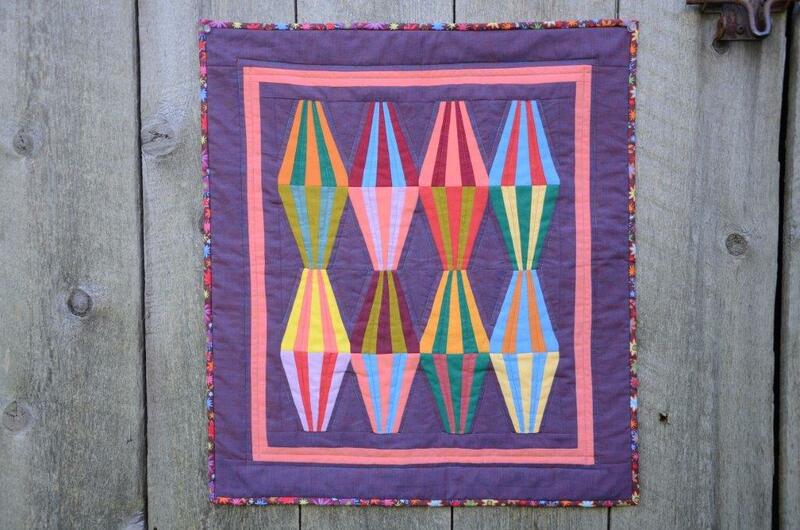 Indeed, in the spirit of Little Quilts, we’ll make and swap wee (see, I didn’t say little) quilts and talk about our progress in blog posts. 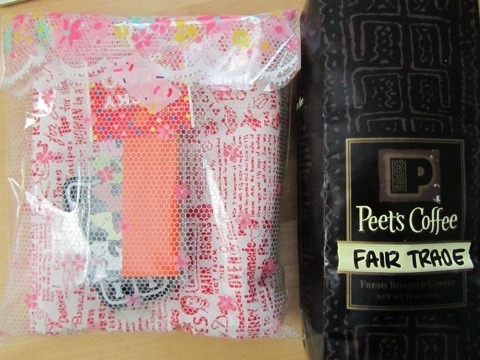 Our swappers don’t know from whom they’ll receive a quilt, so there will be mystery reveals when the mail arrives. Ooooh, tricksy, it was almost more than my summer brain could handle figuring that out (I know, it’s really not that difficult…). 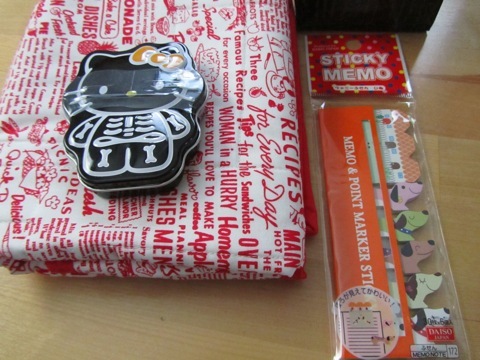 Which of these lovelies shall it be? Should I make one of mine? Or should it be one of Sarah’s? 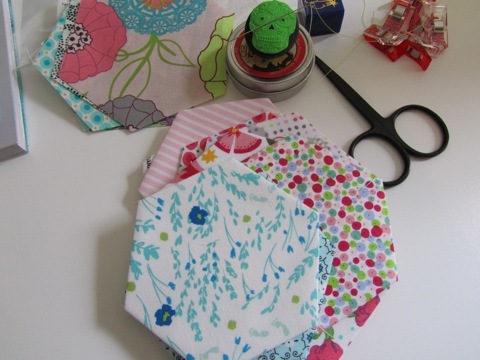 Who doesn’t love the Honeycomb quilt? Surely I can manage the embroidery, yes?! 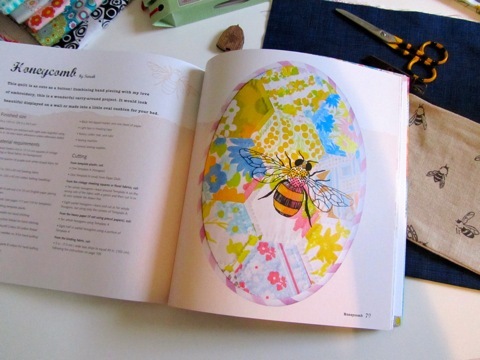 As we all ponder and make, we’ll be checking in, so keep an eye out for our fabulous friends who have joined us. Here’s the Little Quilts visiting schedule for the next six weeks. 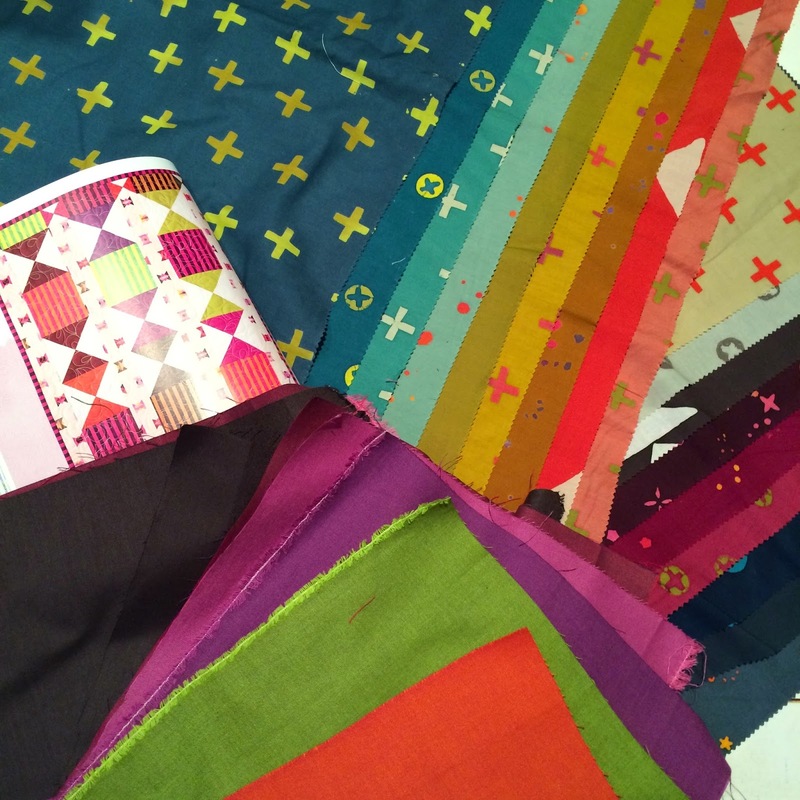 Should you care to join us in the making (or make and then send a small quilt to a friend!) 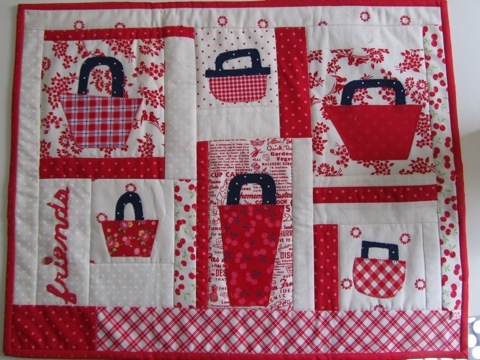 and don’t (yet) own Little Quilts, you will find the pattern for Sarah’s Little Red Riding Hood quilt on the Ryland Peters blog. 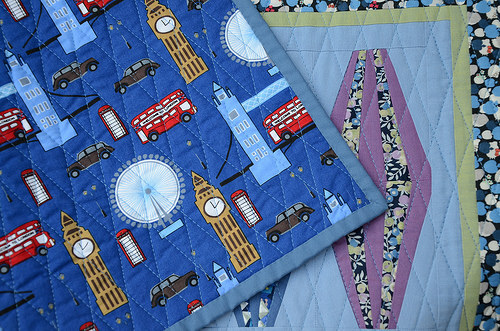 And befitting such a celebration, each stop will have a drawing for a copy of Little Quilts, courtesy of our spectacular publisher, Cico Books! So, if you’d like a chance to win a copy (what? you don’t already own one?) from this stop on the blog tour, leave a comment (making sure I can contact you via email behind the scenes) by the end of the day on September 7 — just before the tour stops off with the ever delightful Miss Pamkittymorning. We hope you’ll join us in our continuing excitement about our book and have a visit with our lovely bloggers at each stop! I’ll check in regularly too to make sure you don’t miss any of the fun!